Learning to cook is so much fun. When you have a passion for cooking then you can cook whatever you like. 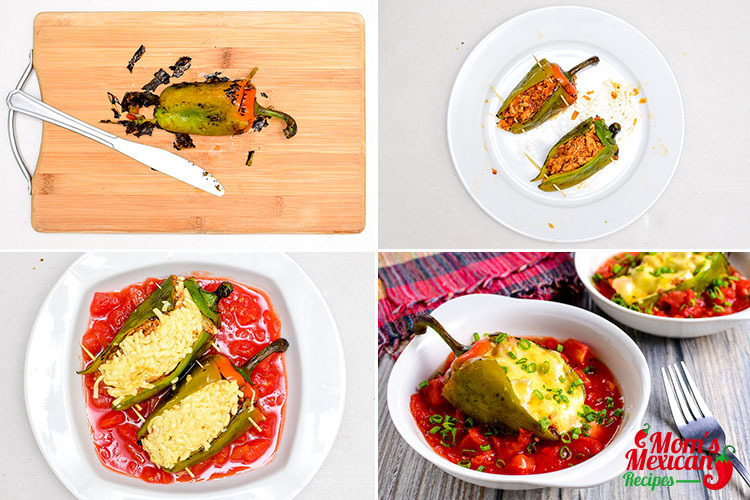 You just take one look inside your refrigerator and you can create something delicious and mouthwatering dishes. Even browsing on the internet, you will find everything you need to create easy and delicious dishes or something special for a heart-warming meal for all the family and special friends. Home-made meals always make us feel wonderfully warm and nourished. Lay the poblano peppers on a work surface. Using a small, sharp knife, cut a lengthwise slit along one side of each of the poblano peppers, then make a small crosswise slit along the top to create a T-shaped slit, careful not to cut the stem off. Carefully cut out and remove the core, then scoop out the seeds. Roast the poblano peppers over an open flame until skin is completely blistered. Transfer to a plastic bag and let steam for 10-15 minutes. Once cool, scrape charred skins with a butter knife, careful not to tear the flesh. Set aside. Pour enchilada sauce into the bottom of a casserole dish. Meanwhile, brown the turkey in a saute pan. Season with salt and pepper. Add onions, garlic, pepper, tomato, cilantro and saute for another minute. 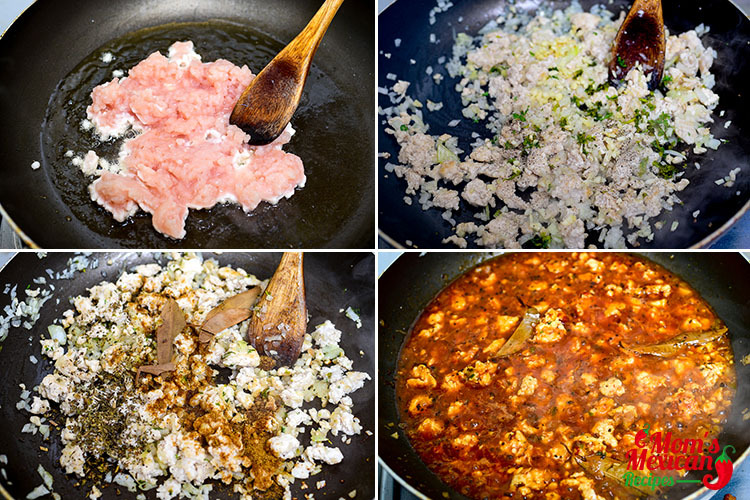 Add cumin, oregano, and bay leaves. Add tomato sauce and water. Simmer for 15 minutes. Stuff each poblano with the turkey mixture. 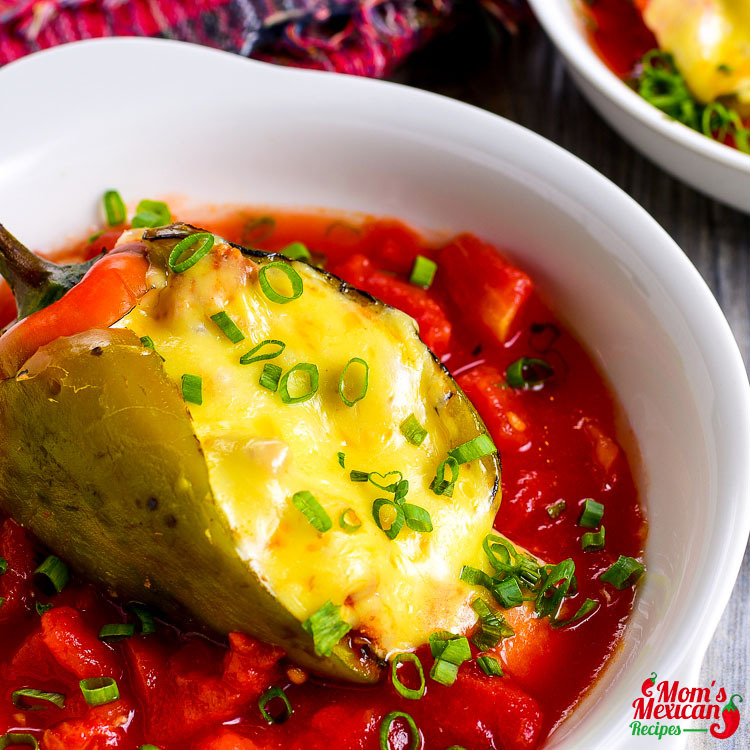 Place the peppers seam side up in the casserole and top with cheese. 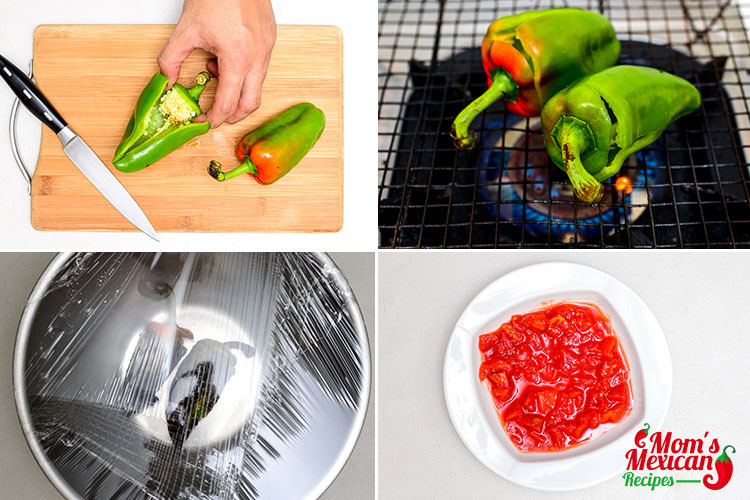 Cover the dish with foil and bake for 30 minutes. Serve hot with scallions on top. While browsing, I find one recipe that caught my eyes. It is a Mexican food with truly unique cuisine. I develop a real love for dishes with a hint of Mexican flavors. 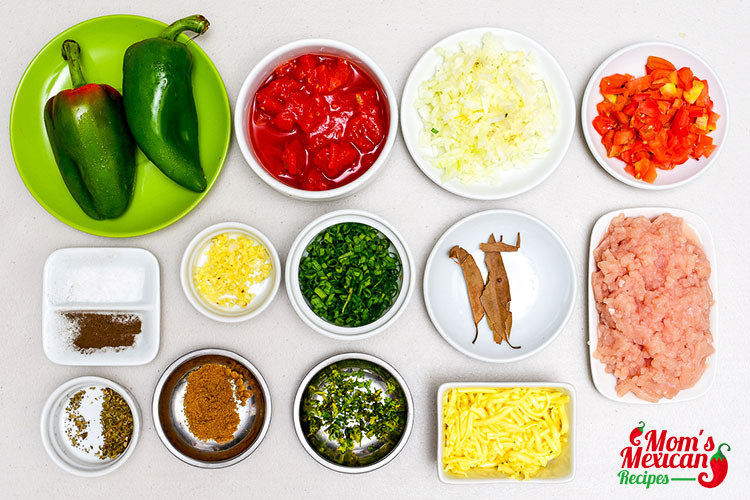 There are so many Mexican dishes that I really want to try either by cooking it or just for tasting it. Enchiladas, Tacos, Burritos are some of my favorite in my list of Mexican dishes. Although the recipes are easy to make and easy to follow, you will learn to create delicious dishes. 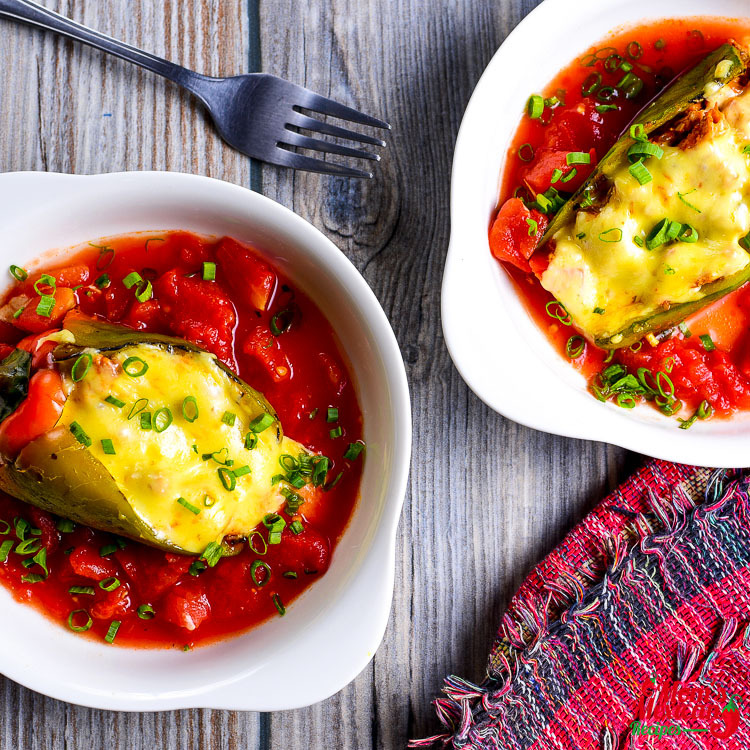 This Turkey Enchilada Stuffed Poblanos Rellenos is easy and quick to prepare. It is a home-style meal with authentic Mexican recipe. 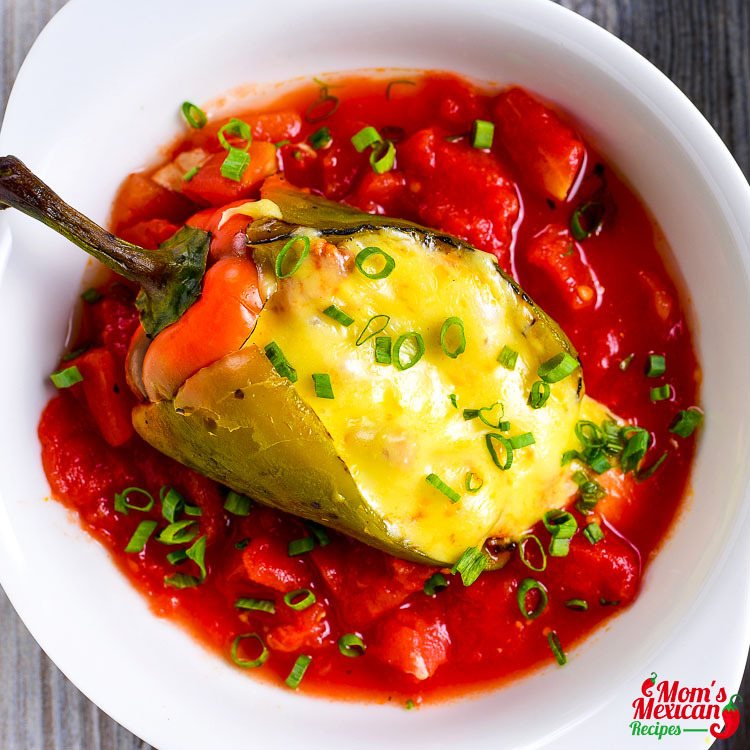 It is stuffed with flavorful ground turkey filling, topped with enchilada sauce and cheese and bake until cheese. Ground turkey is good for our health and it is packed with proteins. The poblano peppers are like bell peppers but the skin is thicker. You can roast it first to remove the skin if desired or bake it until become tender but not completely cook. If you making home-made enchilada sauce, make it on a separate day to reduce the cooking time. There are many kinds of enchilada sauce. The most widely used is a red chili sauce made from rehydrated dried chilies, tomatoes and seasoning. You can serve them with rice. Garnish with green onions and cilantro. Enjoy!